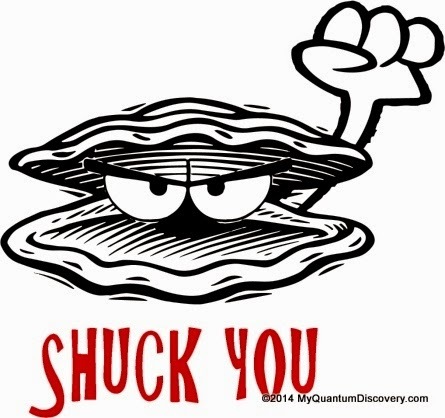 If you’ve been following our blog, you know that we love oysters – cooked but not raw. Rob and I fell in love with cooked oysters, especially BBQ’ed oysters, during one of our combo business/vacation trips in the late ’80’s to California when we toured the Point Reyes area, north of San Francisco. Every hole-in the-wall restaurant along the coast served fresh local oysters, raw or cooked with a variety of toppings. Shucking raw oysters is tricky, risky (don’t want to stick a knife through my palm, thanks just the same) and very labor intensive at least for a shucking novice. Plus there are still health risks because the natural shells are porous, can hold bacteria and are difficult to sanitize. We shucked oysters once to serve as an appetizer (cooked) at a family Christmas dinner many years ago and haven’t shucked any since. Although delicious and a big hit, it was just way too much work! 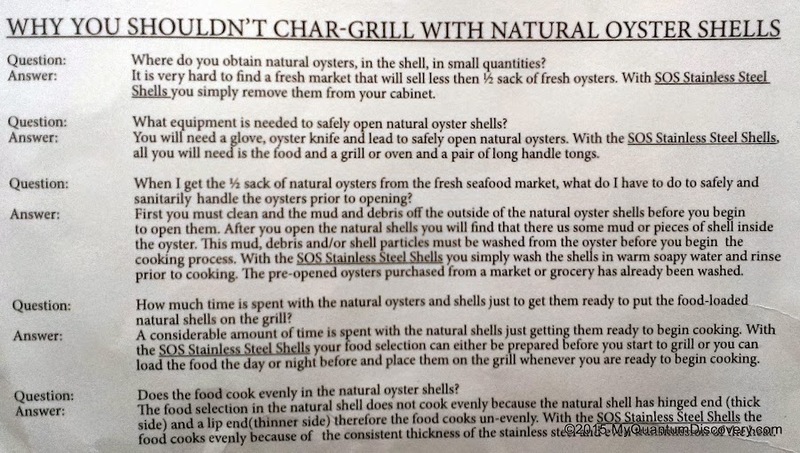 So except for ordering them at restaurants, home cooked oysters have not graced our dinner plates for many years. 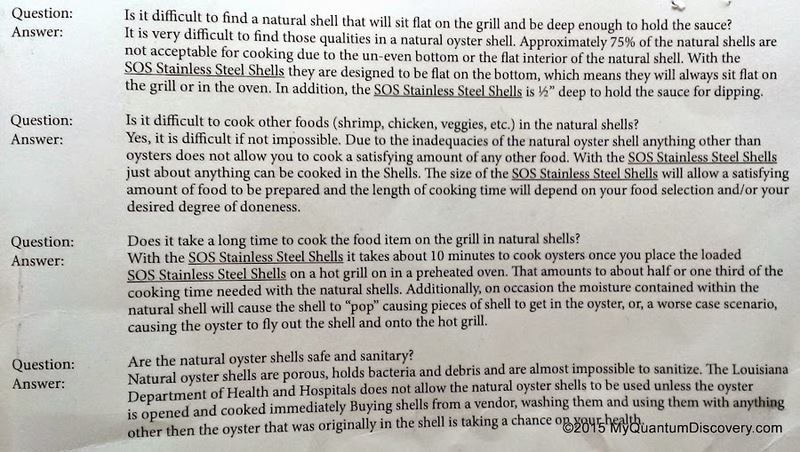 Well, recently I heard (from Nealys on Wheels) about a perfect solution to our home cooked oysterless dilemma during one of our stays at Topsail – stainless steel oyster shells (23 gauge). Hmmm, who knew there was such a thing! 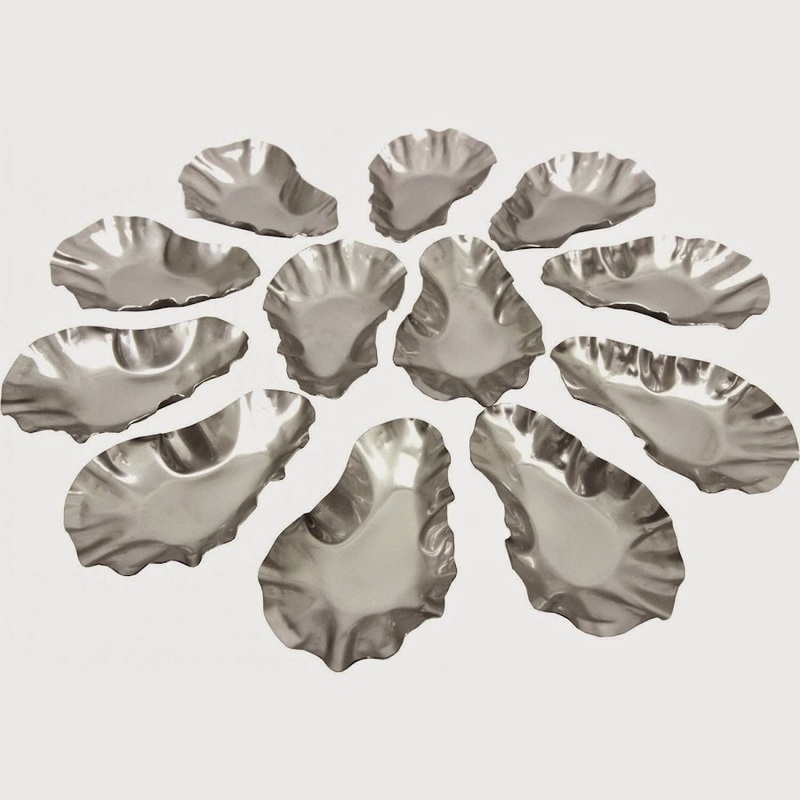 Knowing we would be back in the midst of prime oyster country on Apalachicola Bay, I couldn’t resist – I bought a set (12) of Schwing’s SOS Oyster Shells from Amazon. 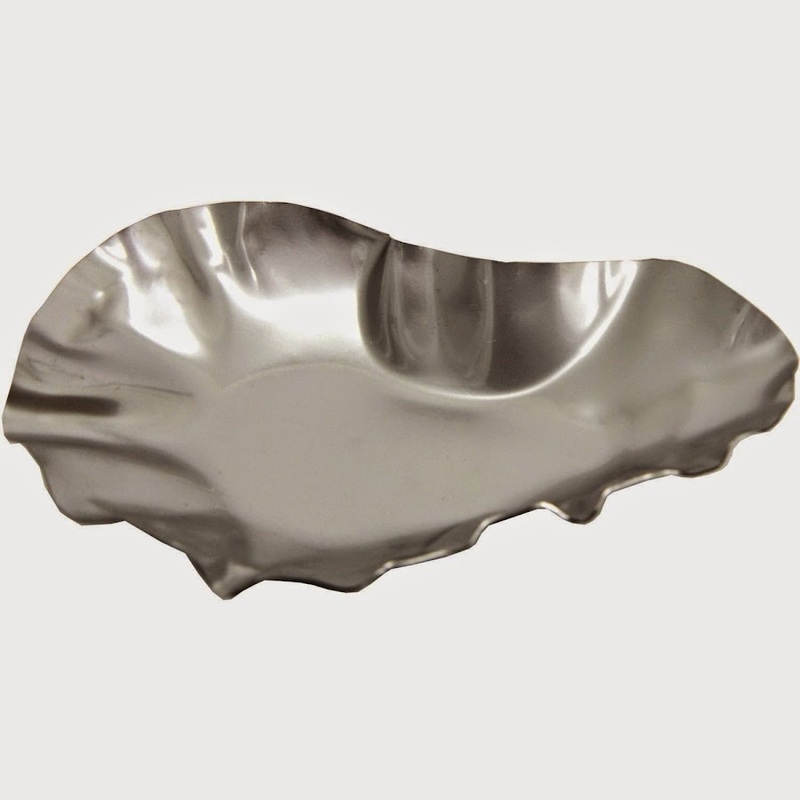 With their flat bottoms there is no risk of them toppling over and spilling their contents so you can use them on the grill or in the oven and they are easy to clean and dishwasher safe. Yes, they are a little pricey but you can use them over and over again, not only for oysters but shrimp, scallops, eggs, veggies, stuffed mushrooms, desserts or whatever else you can think of. 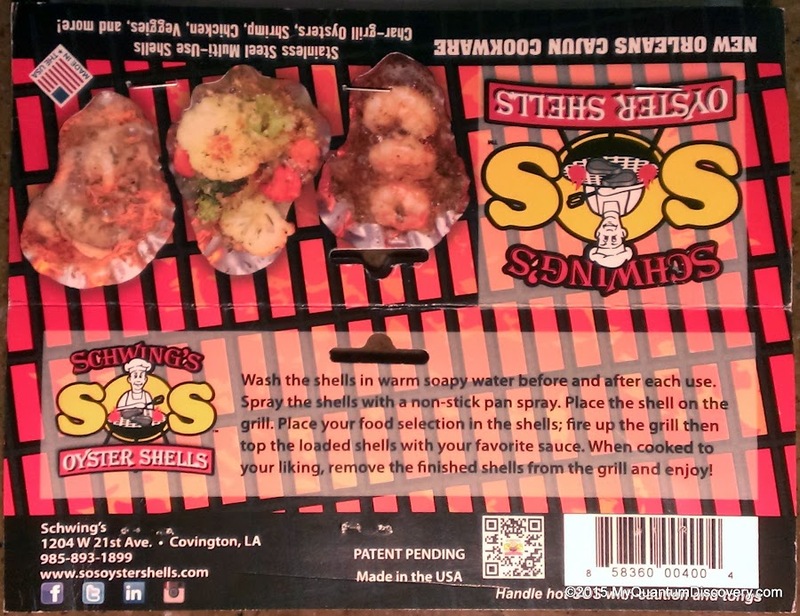 Each “shell” is 5 x 3 x 1/2 and holds 3 oz. 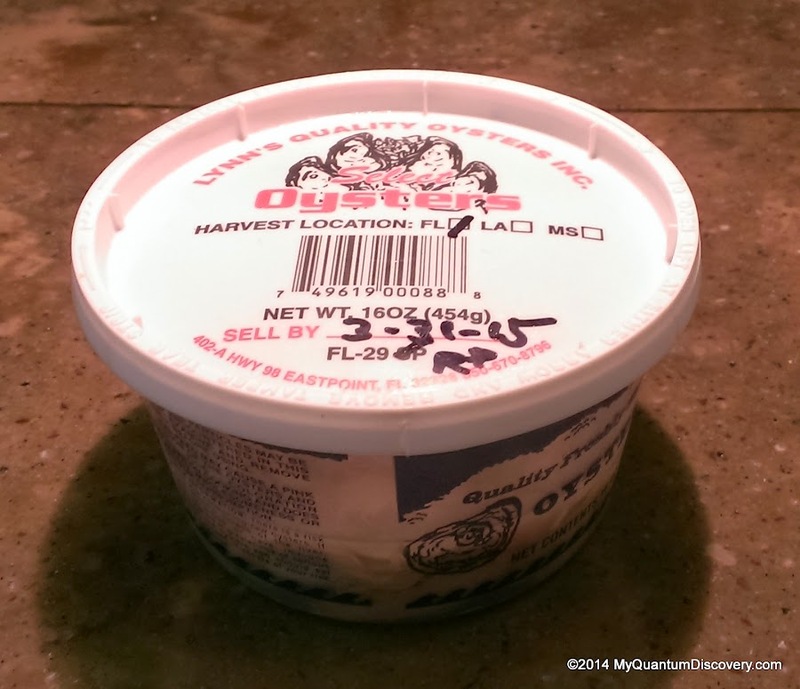 So on the way back to the coach after our dwarf cypress excursion, we just had to stop at Lynn’s Quality Oyster Market in Eastpoint where we bought a pound container of shucked Apalachicola Bay oysters. In addition to the oysters, they sell fresh fish – grouper, mahi mahi, tuna, flounder, mullet, crab, scallops – if it swims they seem to have it! Boy, did everything look super duper fresh! So now armed with my “shells” and my oysters, I was ready! I’ve mentioned our new friends, Betsy and Nancy, in previous posts. Well, Nancy gave up her very successful career in wildlife management several years ago and pursued her passion by going to culinary school, now utilizing her gourmet skills in conjunction with their full time RV lifestyle (lucky Betsy). 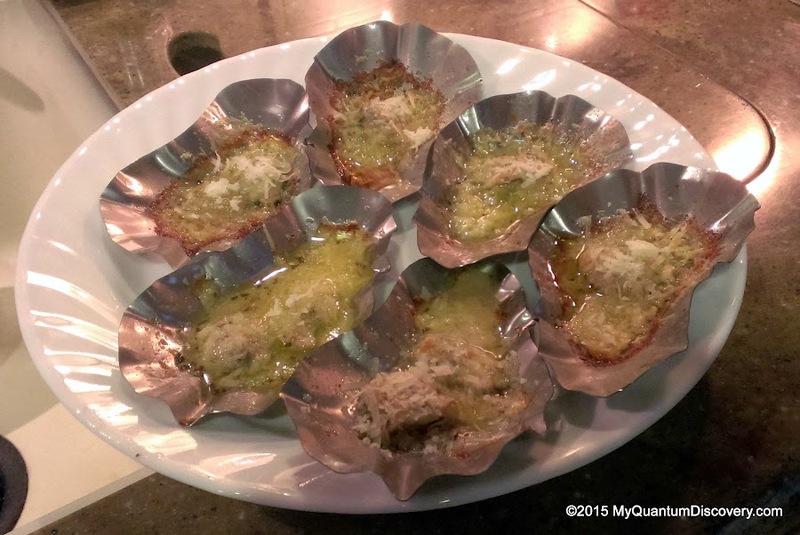 One of the recipes she posted on their RV-A-GoGo blog site was Baked Parmesan Oysters. So using my new shells, that’s what I made the other night. Now maybe the oysters didn’t look quite as good wrapped in stainless steel as they do in their natural shells but boy, oh boy were they delicious especially with crusty bread for dunking! Probably better than those we have ordered in restaurants. Now, those look yummy, and I don’t even like oysters! Don’t need to like oysters, anything tastes good with parmesan and butter on it! Can’t wait for you to return to RI and share those oysters with us!!!! !